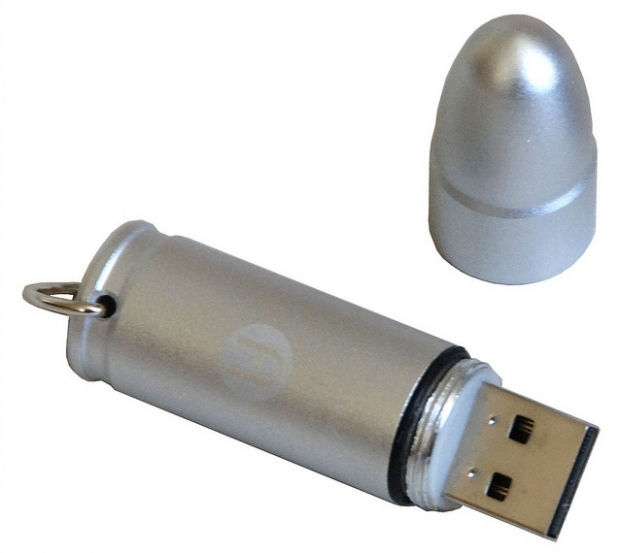 Fremont, California - January 18, 2011 - Active Media Products, a leading manufacturer of SSDs, DOMs and USB drives, today launched a 22-caliber silver bullet shaped USB 2.0 flash drive. "The Bullet-2 drive is the ultimate USB drive because it is rugged, reliable, waterproof, dustproof, small enough to comfortably fit on your keychain, and is a classical icon of form", stated Active Media Products VP of Sales, Jerry Thomson. 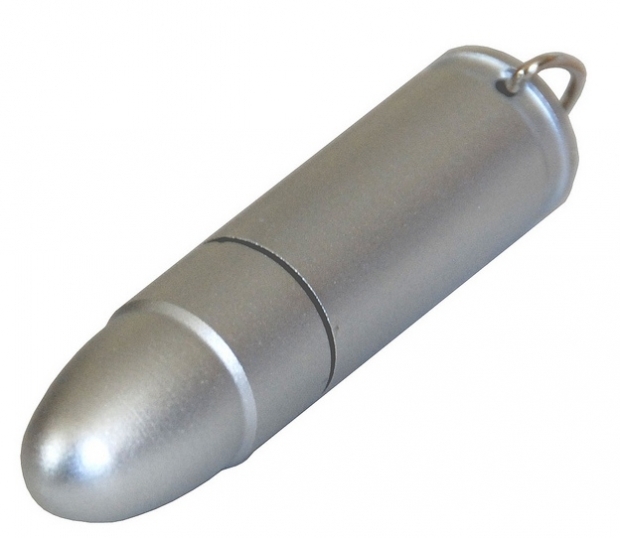 The Bullet-2 is AMP's second style of bullet shaped USB drive. Both Bullet-1 and Bullet-2 models are encased in air tight aluminum enclosures that protect all data from harsh environments such as water, snow, sand and dust. Bullet-1, in gold color, is shaped like a 50-caliber bullet, while the silver-colored Bullet-2 is in the form of a 22-caliber shell. The bullet includes a strong steel keychain and clip for attaching the drive to a backpack or keyring. This new bullet drive is available now through Amazon, at approximately $14 for the 4GB model and $21 for the 8GB drive.